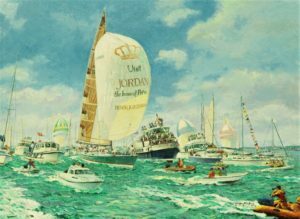 A moment in yachting history, the brief was to capture something of the armada of small craft and atmosphere generated by the triumphant return of “Maiden”. 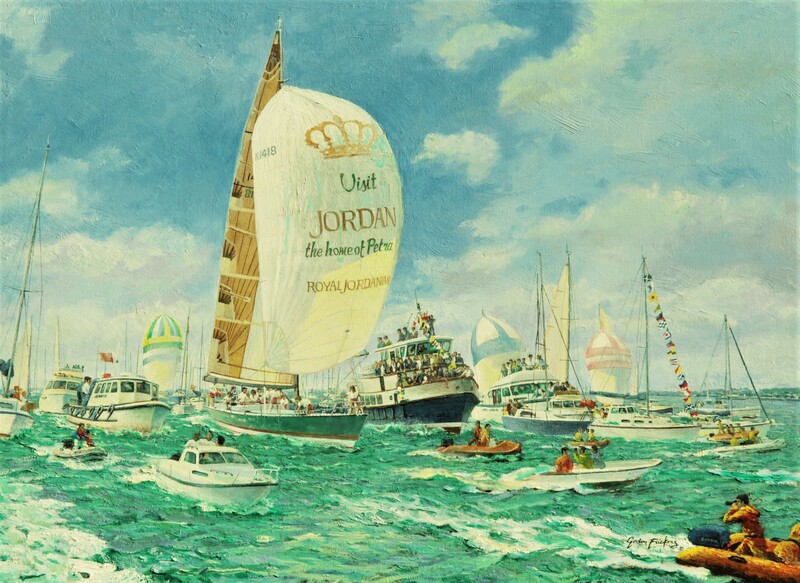 The original measures 76 x 101 cm (30″ x 40″), oils, commissioned by Tracy Edwards as a gift for her major sponsor. 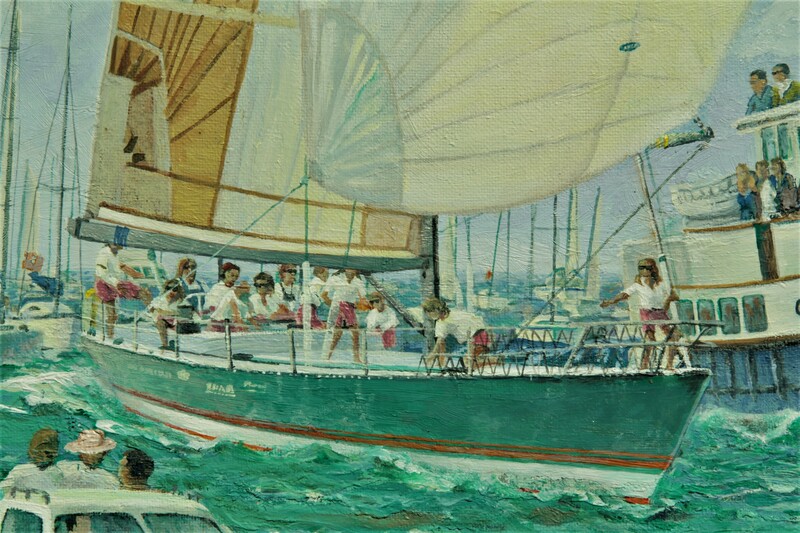 Tracy Edwards, OBE and Maiden: Maiden was the first all-female crew to circumnavigate the globe. 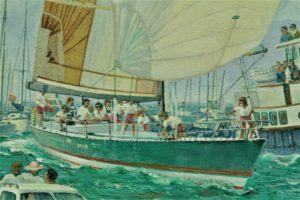 I was delighted to create this painting to the brief set by this famous female captain, who wrote “The painting arrived safe and sound and it is as wonderful as I expected! It will be displayed at the RORC and then sent to my principal sponsor to hang in her palace“. Looking for the new masters of the 21 st century, the very best in modern painting? You have found it here. Timeless paintings, the test of true greatness/classics, the of best long term fine art investments. 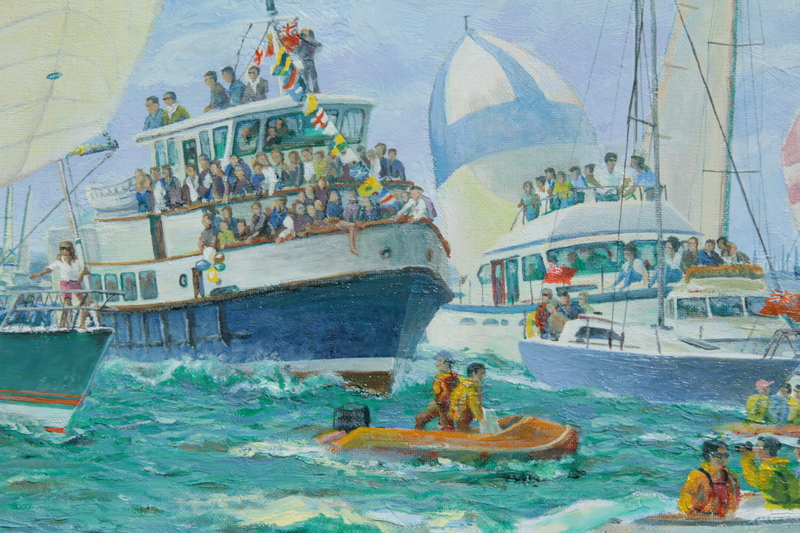 To acquire this or commission a similar painting available, excellent value, this one at £1,100. can be acquired by payments in 4 easy stages.